This month, we will hold a joint meeting with the Greater Duwamish District Council. 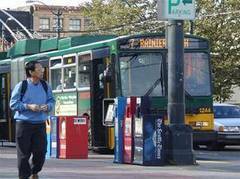 We will hear from SDOT on the Transit Master Plan. What is the difference between 2005 Seattle Transit Plan versus the Transit Master Plan? What are the goals, how was outreach done, what were the responses from the web survey? And much more. We will also learn about Code for America and Seattle Communities Online. What are these programs and how could they help member organizations better communicate with the City and each other?